Nutritionists recommend that adults consume 4,700 milligrams of potassium a day, all of which should ideally come from potassium-rich foods. Adding more vegetables and other high potassium foods like beets, sweet potatoes, beans, and avocados to your diet will help increase your daily potassium intake and get you closer to the healthy levels you need! Potassium naturally protects blood vessels, improves muscle function, and aids in the function of your nervous system. Getting the right amount of potassium in your diet helps protect against heart disease and stroke. Sweet potatoes are an excellent potassium source, and they also include high levels of fiber, beta-carotene, and healthy complex carbohydrates. Bananas are a great source of potassium as well as a resistant starch that helps you feel full and speeds up your metabolism. Dried apricots, figs, peaches, and prunes are not only high in potassium, but also fiber. Beans are loaded with potassium and fiber, especially white, lima, kidney, soy, and lentils. Beets and beet greens provide a healthy dose of potassium and antioxidants, including up to 640 mg of potassium per half-cup. Sun-dried tomatoes and tomato puree, paste, and sauce are rich in potassium and are easy additions to many pasta dishes. Avocados are nutrient dense and naturally free of sodium and cholesterol. Fish such as salmon, tuna, halibut, flounder, and Pacific cod can give as much as ten percent of your recommended daily potassium intake in one serving, while they are also rich in healthy omega-3 fatty acids. Acorn and winter squash provide fiber, antioxidants, and other healthy minerals, especially potassium. 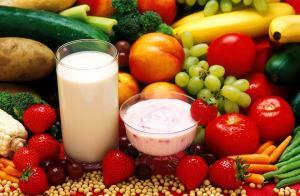 Milk and yogurt can greatly increase your potassium levels and are a great source of protein. Dark leafy greens such as spinach, bok choy, and Swiss chard are excellent low-calorie sources of potassium and other helpful vitamins and minerals. Clams not only provide lots of potassium, but they have the highest concentration of vitamin B12 of any food. If you experience unexplained weakness, fatigue, muscle cramps, or constipation, you may suffer from low potassium (hypokalemia). If you suspect you have low potassium, you should consult a medical professional for a complete diagnosis. At FastMed Urgent Care, our medical professionals can answer all of your dietary questions, run blood tests in our on-site lab, and recommend the best way for you to supplement your diet so that you get the potassium you need to stay healthy and strong. We are open 365 days a year with extended hours during the week. You never need an appointment, so stop in at your local FastMed Urgent Care location for high-quality, compassionate, and affordable care. 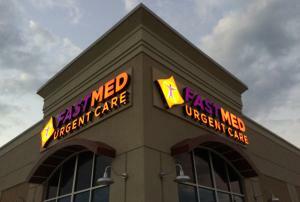 Like us on Facebook and connect with us on Twitter to find out more about FastMed Urgent Care in your community.